Without his prized ticket to school (his uniform), he’ll miss the chance to achieve his dream of becoming a doctor. Randy’s feet are growing as fast as his English vocabulary. 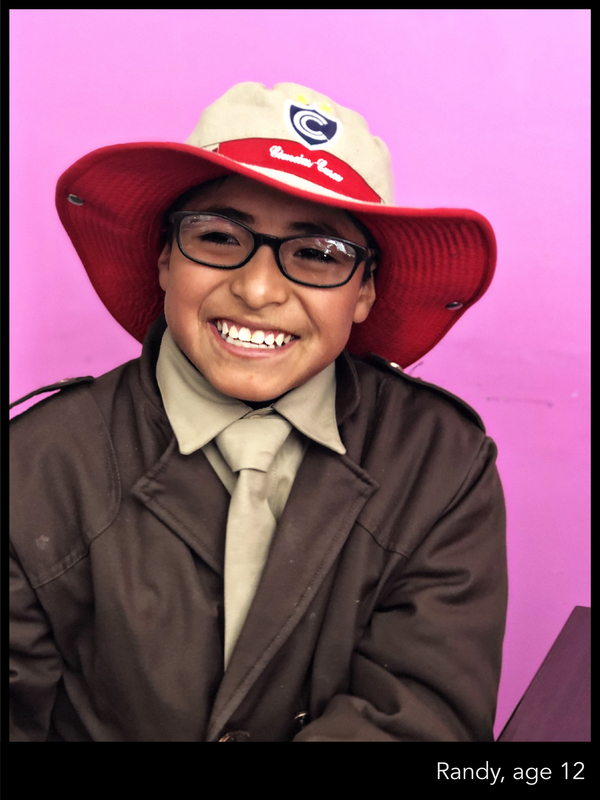 By sponsoring his uniform and school lunches, we’re going to make sure he keeps his prized spot at school and can eat each day. It’s a little investment in a big dream. We can’t wait to see Randy on the other side of the hospital equation–providing care and doing magic tricks (which he sees as essential to his training) for kids just like him. Nuevo Camino has 34 kids like Randy who are watching their moms fight for their futures. Their moms want to see their kids do more and be more. And there are more moms out there that want to give their kids a fighting chance at a new life. Give 50 kids the gift of education this holiday, and with it, the most important kind of knowledge they can have–that they are as worthy of love and investment as your own kids. #WhatWouldYouGive for these kids to have a chance at a better life? DONATE TODAY! All of Peru’s public schools require uniforms (including two pairs of shoes) and a detailed, specific list of supplies. All told, it costs $267 for one of these incredible kids to have the chance at an education, and our goal is to take care of them all! It’s hard to concentrate with an empty belly. $50 a month ensures a child has a balanced lunch every day, replenished school supplies throughout the year, and admission to school field trips. Let’s ensure this for all the kids of Nuevo Camino by getting 50 monthly sponsors! DONATE to help us reach these goals, use our LETTER TEMPLATE to tell your friends about this opportunity to give the gift of education, and learn more about the incredible, resilient moms and kids of NUEVO CAMINO.